You are here: Home / Sports / Boxing / How does sport affect your mental health? How does sport affect your mental health? Sport is power, strength, joy and pain but sport and fitness are also the key to mental health for so many people. On a superficial level, sport has kept me going through financial stress and motivated to regain health after having tuberculosis. But when I spoke to boxer Lynn Harvey for this blog before, she said boxing has really helped her mental health. And this week that topic popped up again when rugby player Hannah Tyrell spoke in Dublin about bulimia and how she found a way past that. 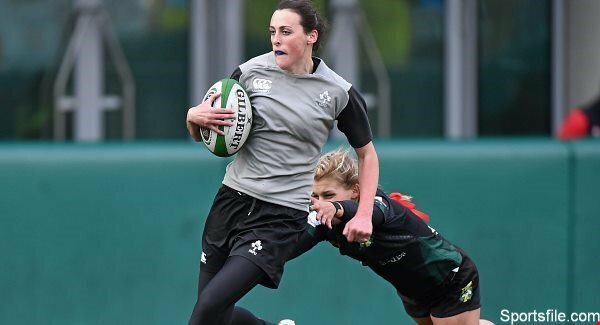 Struggling with mental health and talking about that is just emerging from the shadows in Ireland, but when confident, successful sports women like Hannah speak out it can have a huge impact. 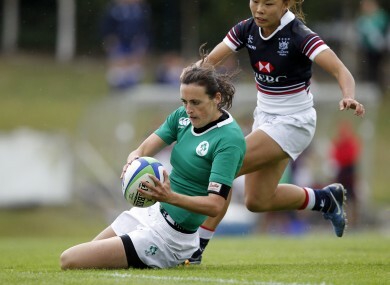 Hannah plays a central role in the Irish national team. But it was only when I read her story in a book last year ‘Six Nations Two Stories’ that the full extent of her achievement became clear. Starting off playing Gaelic Football, playing for Dublin and then moving onto rugby – but all the while eating disorders behind the scenes. Since then she’s become more prominent, and I think she makes a really powerful messenger. It sends a great signal to girls and boys that you can overcome your challenges, and take on a sport like rugby. She said at the conference: ‘Sport and my teammates allowed me to leave behind all the stuff I was going through and just enjoy the couple of hours of peace from the negative thoughts in my head. Hannah went onto say: ‘The biggest thing in overcoming my illness was to acknowledge it, acknowledge that I needed help and also that the want and desire had to come from me. Have you seen or experienced the impact of sport on mental health? Read Hannah Tyrell’s full speech here with Pieta House. Follow Hannah Tyrell on Twitter.